DPH commissioner Jeff Howard, MD attributed the cause of the infections to “improper storage and handling” of the vaccine. “It is important that individuals vaccinated by this company seek appropriate medical evaluation and treatment,” Dr. Howard stressed.1He did not specify which vaccine was responsible for the infections or vaccine(s) were thought to be responsible for the infections. Aluminum adjuvants in vaccines have been associated with severe local reactions, including large lumps at the site of the injection. 1 Hogan D, Fisher, B. Department for Public Health Investigates Vaccination Associated Infections. Commonwealth of Kentucky Cabinet for Health and Family Services Feb. 1, 2019. 2 Centers for Disease Control and Prevention. Possible Side-effects from Vaccines. CDC.gov. July 12, 2018. 3 World Health Organization. Vaccine Safety Basics: Adverse events following immunization. VaccineSafetyTraining.org 2019. 4 Batista-Duharte A, Portuondo D et al. Systemic immunotoxicity reactions induced by adjuvanted vaccines. Int Immunopharmacology 2014; 20(1): 170-180. 5 Klein NP, Edwards KM et al. Recurrent sterile abscesses following aluminum adjuvant-containing vaccines. BMJ Case Rep Mar. 17, 2009. 6 Cook IF. 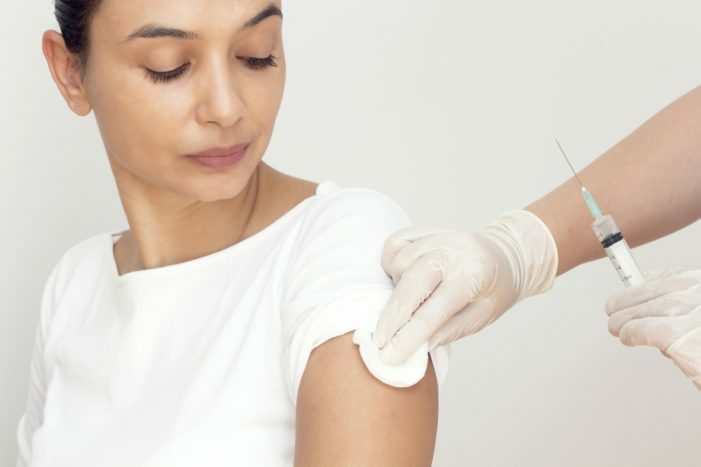 Best vaccination practice and medically attended injection site events following deltoid intramuscular injections. Human Vaccines & Immunotherapeutics 2015; 11(5): 1184-1191. 7 WKYT. Health department says Kentucky-based vaccine provider caused infections. WSAZ NewsChannel 3 Feb. 2, 2019.